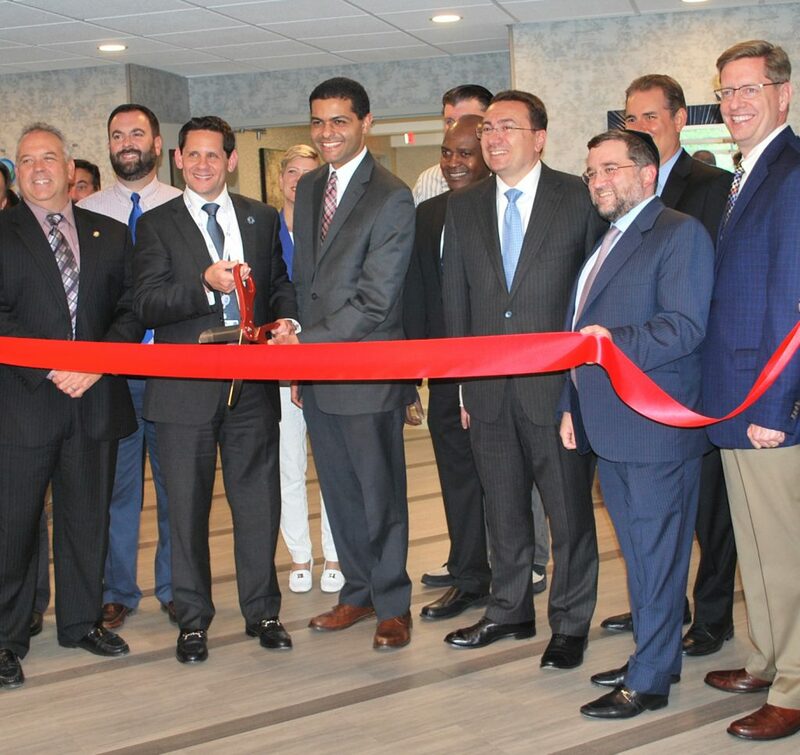 NEPTUNE CITY, N.J., June 28, 2018 – Marquis Health Services, Coral Harbor Rehabilitation & Healthcare Center staff, healthcare colleagues and dignitaries celebrated the completion of a $2.5 million renovation at the 110-bed Neptune City skilled nursing facility during a professional open house event in June. More than 200 participants enjoyed tours of Coral Harbor, a formal ribbon-cutting ceremony, live entertainment, and refreshments. New Jersey State Health Commissioner Dr. Shereef M. Elnahal was among the attendees. Coral Harbor provides post-hospital care, short-term rehab, and long-term residential care. Marquis Health Services launched the renovation immediately following its acquisition of the Monmouth County property in 2016. Highlighting the physical improvements, the firm completed a complete overhaul of the long-term care floor and created dedicated sub-acute rehabilitation suites. The work also included the construction of a new therapy gym with state-of-the-art equipment and other enhancements. Coral Harbor’s programming has been expanded as well, with new specialty cardiac and pulmonary rehabilitation programs operating seven days per week. Piped-in oxygen in the sub-acute rehabilitation suites enhances the facility’s pulmonary care services. Additionally, Coral Harbor has introduced a chronic kidney disease management program. Coral Harbor continues to partner with medical providers and area hospitals – including the adjacent Jersey Shore University Medical Center – to develop offerings that meet community needs. Located at 2050 6th Ave., Coral Harbor maintains a five-star rating from the Centers for Medicare and Medicaid Services (CMS) and this spring received a nursing excellence award from the New Jersey Association of Directors of Nursing Administration/Long Term Care, Inc., for earning a 12-month deficiency-free survey from the New Jersey Department of Health. Brick, N.J.-based Marquis Health Services is a recognized leader in providing subacute rehabilitation and skilled nursing care. The company currently operates eight skilled nursing properties in the Mid-Atlantic region – with locations in New Jersey, Pennsylvania, and Maryland. The organization’s growing portfolio also includes 10 facilities in the Northeast.  Marquis is the healthcare affiliate of Tryko Partners, LLC, a family-owned organization with three generations of skilled nursing involvement. Marquis Health Services celebrated the Coral Harbor renovation completion with a ribbon-cutting ceremony during its June open house event. Pictured (front row, L-R) are Neptune City Mayor Robert Brown, Jersey Shore University Medical Center CEO Dr. Ken Sable, N.J. State Health Commissioner Dr. Shereef M. Elnahal, CIBC Bank Managing Director Sam Dendrinos, Marquis Health Services CEO Norman Rokeach, and Health Care Association of New Jersey President Jon Dolan.